The weather is finally hotting up and this weekend is set to be a sunny one across most places in Britain – and we can’t wait! 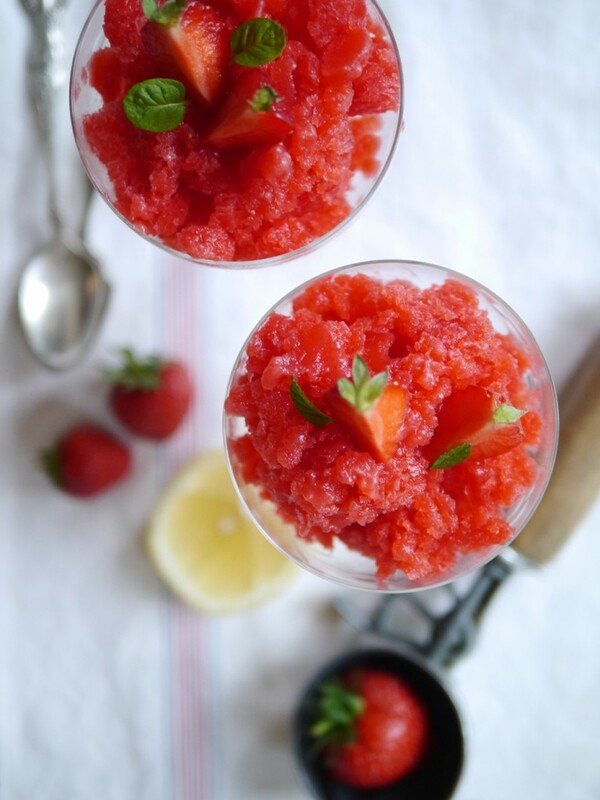 As we’re not quite used to the hot temperatures, we’re going to need something to keep cool, and Granita is a versatile Italian cousin of sorbet that can be served whatever the occasion. Our food editor Alana shows us a refreshing recipe that will make the most of the seasonal fruits that are on offer. Blitz the raspberries and strawberries in a food processor or with a stick blender until you have a smooth pulp. Pass through a fine sieve to remove all the seeds. Add the apple juice, lemon juice and almond extract. Transfer into a shallow, freezer proof dish. Freeze for 3-4 hours. Remove from the freezer and use a fork to grate the fruity ice. Serve in a glass and garnish with a fresh strawberry and some mint leaves.